Feb 7, 2016; Santa Clara, CA, USA; Recording artist Beyonce performs during the half time show of the Denver Broncos game against the Carolina Panthers in Super Bowl 50 at Levi's Stadium. IT'S HAPPENING. Netflix dropped the trailer to the Beyoncé documentary "Homecoming" on Monday, April 8. It begins with the voice of late poet and activist Maya Angelou, giving advice to younger generations. "What I really want to do is be a representative of my race, of the human race," she says. "I have a chance to show how kind we can be, how intelligent and generous we can be. I have a chance to teach and love and to laugh and I know that when I'm finished doing what I'm sent here to do I will be called home." It goes on show behind-the-scenes clips of dancers and Beyoncé at Coachella rehearsal, but also the artist with her husband, Jay-Z, and kids, too. If you are not ready, get ready. "Homecoming" comes out April 17. Fans of Queen B are freaking out because Netflix just dropped a bomb of a teaser. The streaming platform announced on Sunday on social media that "Homecoming," which is reportedly a documentary about Beyoncé's iconic performance at the 2018 Coachella music festival, will be available to stream on April 17. Us Weekly reported last week that the documentary will show her behind-the-scenes journey to making the epic performance happen with some additional footage, too. They also reported that Bey is currently working on some new music, but we might have to wait longer for that materialize. "Homecoming" may be referring to the scholarship Beyoncé established right before her Coachella performance, called the Homecoming Scholars Award Program, which provides scholarships to students at historically black colleges and universities across the U.S. The documentary is bound to be popular — not just because, duh, it's Beyoncé, but also because the two-hour Coachella 2018 performance was iconic. 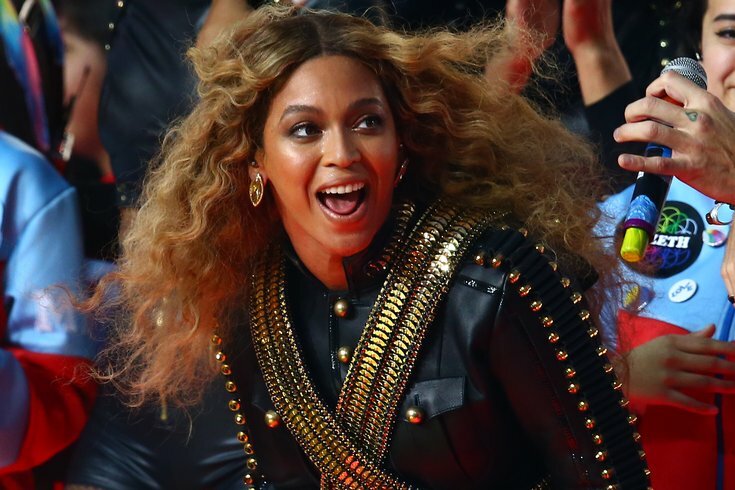 In fact, it made Beyoncé the first black woman in history to headline the festival. And it included a Destiny's Child reunion, a cameo from her husband Jay-Z and sister Solange, and gave a nod to HBCU's in the process. This year's Coachella is just one week away. Headliners include Ariana Grande, Childish Gambino, and Tame Impala.